Oakhurst Neighborhood Association, Fort Worth, Texas: HELP NEEDED: Annual Police and Firefighter Appreciation Dinner this Thursday! HELP NEEDED: Annual Police and Firefighter Appreciation Dinner this Thursday! 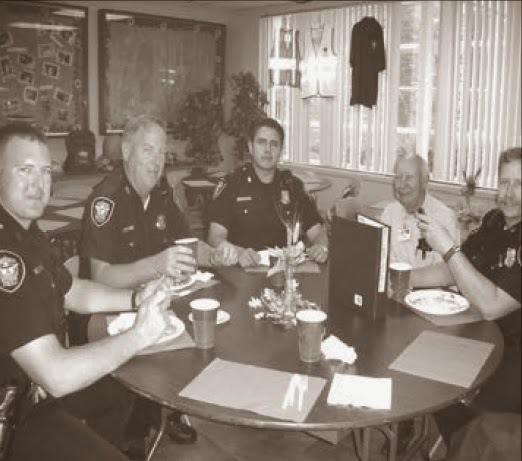 ONA's Annual Police and Firefighter Appreciation Dinner is this week! As in the past, we have at least one special guest coming. Our mayor, Betsy Price, has our event on her calendar. We are also hoping that the police and fire chiefs will attend. Come and meet our city officials! Springdale Baptist Church has graciously donated their gym and kitchen again this year for the event, which will start at 11am and run through 1am on Friday morning. Springdale is located at 3016 Selma (on the corner of Riverside Drive and Selma). PLEASE remember that we will need food for all three shifts. And we could certainly use your help to wash up and serve. If you haven't already been called, it is not because we don’t need your help; we may just not know your number! So PLEASE call Phyllis at 817.831.8958 if you wish to help or make food. Also, if you wish to donate but cannot attend, we'll send someone to pick up your food! Note that Riscky's always gives us their delicious barbeque at a greatly reduced rate, for which we are very grateful. But we can always use additional meat and side dishes, as well as desserts. And if you don’t wish to donate food or help with serving, we also give out door prizes during the event, and you are welcome to donate a small amount of money or new item for that purpose. The thanks that we get from the firefighters and policemen who come to the dinner is very heartwarming. They are so happy to get a home-cooked meal in the middle of their shift! It’s a small way in which we can serve the ones who serve us. Plus…WE HAVE SO MUCH FUN! Above all, come on out, visit with your neighbors, and meet the police and firefighters who serve Oakhurst. We hope to see you there! This Saturday: Fort Worth Gallery Night!